I've always really liked Max Lucado. It seems that everyone does, so that doesn't make me unique. When I heard he had a new fiction book coming out, and especially when I heard it had something to do with coffee, I definitely wanted in on that. 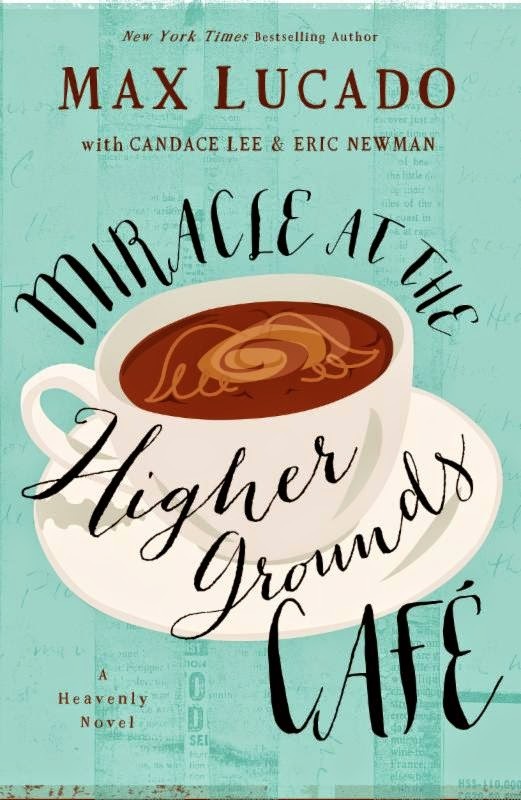 Miracle at the Higher Grounds Café was a wonderful book for me to read this past week. This was a fun, fairly upbeat book. Some tough stuff happens, but the tone overall is pretty optimistic and encouraging. I have no idea where I stand on things like whether or not we have guardian angels, but I generally enjoy stories that involve them. The story does require some suspension of disbelief, but it does make some really great points. You know, like the big question asked over and over -- if you could ask God any one question, what would you ask? I think that is the one area where I could relate to Chelsea. I wouldn't necessarily come up with a question, but I sure would enjoy seeing what other people are asking and hearing.